When appearing in a banner H1 is bronze. Foro-ExtraLight is added in the Custom CSS. The Style Editor says it is Proxima Nova. Note: Foro-ExtraLight is added in the Custom CSS. The Style Editor says it is Proxima Nova. This example uses an image tag to link to the SVG file. Alternatively you can paste the actual SVG code into the a code block. See below. The logo must be on a dark enough background or Squarespace will hide it. To make the global header logo an SVG we have to do trickery. 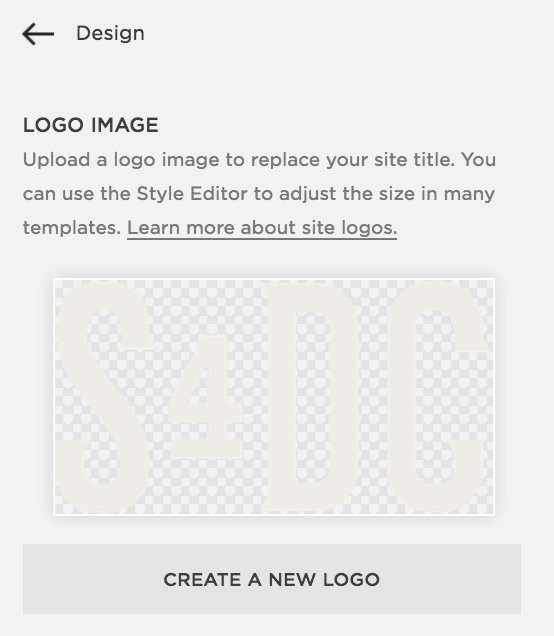 The "official" logo you insert via Squarespace (Design > Logo & Title) only allows JPG/PNG. Workaround: The PNG logo is hidden with CSS and the SVG is added as a background image. width="94.477px" height="50px" viewBox="103.071 54.548 94.477 50" enable-background="new 103.071 54.548 94.477 50"
Appears only on the home page. On the home page, the global header logo is hidden and this is positioned center via Custom CSS. Convert multiple shapes into compound paths. Use "Save As" instead of "Export"
width="300.618px" height="242.85px" viewBox="0 0 300.618 242.85" enable-background="new 0 0 300.618 242.85"
Line element 6 columns wide with 3 columns on the sides.